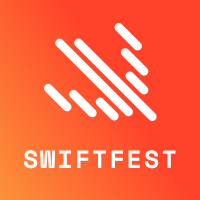 SwiftFest 2017 Conference - Coming to Boston in November — SwiftFest 2017 is a community-driven event that will expose you to new perspectives about the Swift programming language and the iOS development ecosystem. Register today using the promo code "SWIFT3" to receive a 10% discount off the ticket price. Reactive Programming for the New Mobile Stack — Four principles for the ‘new mobile stack’: Event-driven, data flow, data sticks and pragmatic logic. Google Introduces Android Instant Apps SDK 1.1 — Android Instant Apps allows Android users to run your apps instantly, without installation. The Essential Guide to Queueing Theory — Queueing theory is one of the best ways to boost performance. This ebook demystifies the subject without requiring pages full of equations. The Argument for AMP: Lessons From 10 Case Studies — A guide to Google Accelerated Mobile Pages (AMP) including case studies from ten brands. Responsive SVG Sprite Animation that Adjusts Based on Viewport — An example of a complex SVG sprite animation that adjusts to the viewport size. Naming Things In CSS Grid Layout — The various ways that you can name lines and areas in CSS Grid Layout to enable easier placement of items by name rather than number. Safari's Implementation of 'srcset' Is Buggy, Rendering The Whole Feature Basically Useless — The srcset attribute can be a great feature when it works, but it appears to fail in some fairly common use cases in Safari. DevTools Tips for Progressive Web Apps — Some tips on using Chrome to debug issues related to PWAs. Ionic App Generator — A new utility for generating Ionic-based applications, Ionic App Generator (macOS and Windows). Ionic Lazy Loading Bonuses — How to take advantage of Lazy Loading in your Ionic 3 apps. Building Shopify Mobile with Native and Web Technology — Always good to see a case study from a company doing well.